Tree c 10-30 m tall. Leaves c 3-9 cm long on stalk c 1-3 cm. 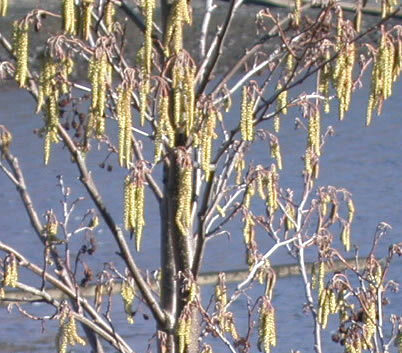 Male catkins c 1-6 cm, female cones c 0.5-3 cm. ID: Purple buds (see pic below) diagnostic. The cones (2nd pic below) are also unique to this tree. 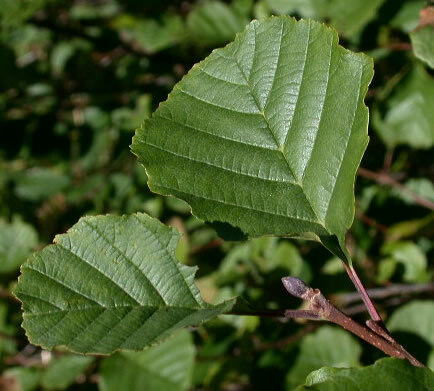 Can be id'd from leaves as follows: leaves toothed, about as long as broad, many of them with a shallow notch at the tip, the others flat there. 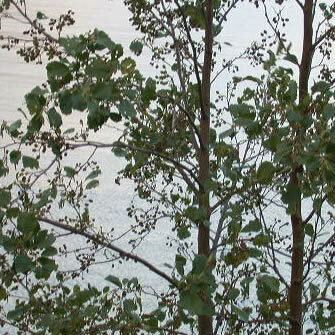 Other features: Twigs have stalked side-buds. 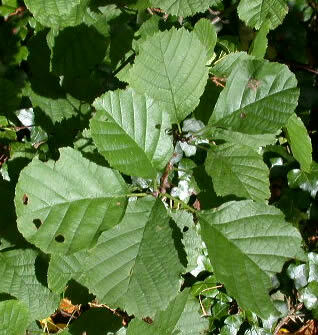 Male and female catkins present all winter, opening in Feb-Mar. 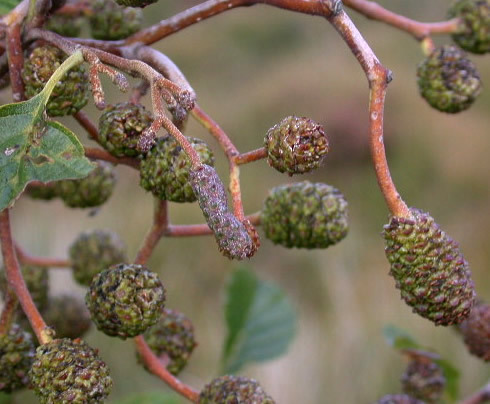 The male ones then drop off but the female ripen into cones which release the seeds in autumn but may remain on the tree for much longer.